Shinya Aoki returns to the United States for the second time, as he faces Lyle Beerbohm at Strikeforce: Diaz vs Daley. The event takes place on April 9th at the Valley View Casino Center in San Diego, California. The card is already stacked with two title fights including Nick Diaz vs Paul Daley for the welterweight strap and Gilbert Melendez vs Tatsuya Kawajiri for the 155-pound belt. Shinya Aoki looks to rebound from an embarrassing performance at DREAM’s New Year’s show, where he met Yuichiro Nagashima in an exhibition mixed-rules bout. The first round was just K-1 rules, favoring Nagashima heavily. Aoki made a fool out of himself by attempting multiple dropkicks until the time ran out. The second round was MMA rules which favored Aoki heavilly but when he dropped down for a takedown, Nagashima blasted him with a knee, knocking him unconscious in just four seconds into the round. Since losing to Gilbert Melendez in his Strikeforce debut, Aoki has won three-consecutive fights in Japan, including a first round submission win over title contender, Tatsuya Kawajiri. Lyle Beerbohm suffered his first professional loss last month against Pat Healy at Strikeforce Challengers 14. The two engaged in one of the most exciting, hard-fought grappling matches ever seen inside the cage, but in the end it was Healy who won the unanimous decision from the judges. Previous to the Healy loss, Beerbohm was 5-0 under the Strikeforce banner and very close to title shot consideration. ‘The Irish Hand Grenade’ Marcus Davis was expected to meet Kajan Johnson in his Maximum Fighting Championships debut, but a shoulder injury has forced Johnson off the card. Curtis Demarce steps in to face Davis on the televised main card at MFC 29. The event takes place on April 8th at the Colosseum at Caesars Windsor in Windsor, Ontario, Canada. MFC 29 will be Ontario, Canada’s first sanctioned mixed martial arts event. Curtis Demarce recently lost a very close match-up against former UFC ‘Ultimate Fighter’ alum Richie Whitson at MFC 28 last month. The two engaged in an exciting, back-and-forth fight, but in the end it was Whitson who eked out the spit decision victory. The loss snapped a seven-fight win streak for Demarce. Marcus Davis returns to action for the first time since being released by the UFC earlier this year. After a surprising 8-1 start to his UFC career, he finished just 1-4 before being handed his release. Davis seemed to struggle with the taller welterweights in the division, so at UFC 125, he dropped down to lightweight to face Jeremy Stephens. Despite a strong start, Davis eventually fell victim to a third round knockout loss. Bellator officials have announced all four lightweight quarterfinal match-ups that will all take place next Saturday at Bellator 36. Rob McCullough vs Patricky Freire, Toby Imada vs Ferrid Kheder, Carey Vanier vs Lloyd Woodard, and Mike Chandler vs Marcin Held will all take place on the televised main card. 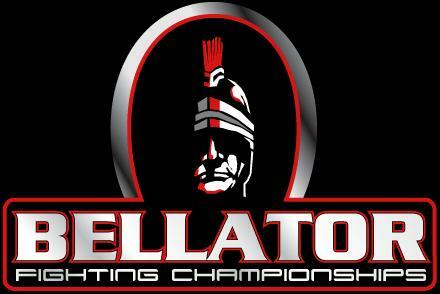 Bellator 36 takes place on March 12th at the Shreveport Municipal Auditorium in Shreveport, Louisiana. 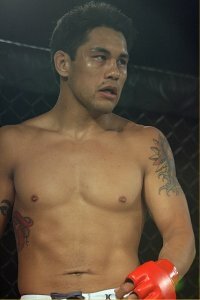 Patricky Freire made his mixed martial arts debut in 2005 and started out 4-0. He then lost a technical decision to former UFC roster member Willamy Freire, and took over a two and a half year break from the sport. 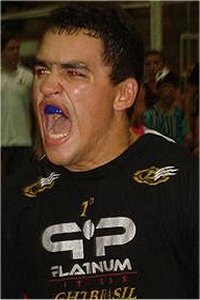 Freire returned to MMA in April of 2010 and has since won three straight fights, most recently a unanimous decision victory against Yure Machado at Arena Gold Fights 2 last July. Rob McCullough has picked up two consecutive victories since being released by the WEC back in November of 2009, following a loss to Karen Darabedyan. McCullough competed twice for the California-based promotion, Tachi Palace Fights, picking up wins against Isaac de Jesus and Corey Hill. Two-time tournament runner-up, Toby Imada will get another chance at Bellator gold this year. In season one, Imada reached the finals by defeating Alonzo Martinez and Jorge Masvidal. He won the “Submission of the Year” trophy at the World MMA Awards with his spectacular inverted-triangle choke that left Masvidal unconscious. Imada ended up losing in the finals to Eddie Alvarez by second round rear naked choke. In season two’s tournament, Imada once again reached the finals after second round submission wins against James Krause and Carey Vanier. Pat Curran got the split decision victory over Imada in the finals, contrary to many observer’s opinions. Ferrid Kheder was expected to partake in last year’s tournament, but he suffered an injury during training and was forced to withdraw. He will make his Bellator debut carrying a five-fight win streak with him. Kheder’s last fight was troubled with controversy. After three rounds of action, Kheder was awarded a unanimous decision in a fight that most observers saw as a clear-cut victory for UFC veteran Hermes Franca. It was later reported that the show’s promoter swayed the judges decision, giving the fight to Kheder. The bout was later turned to a no contest because of the promoter’s shenanigans. 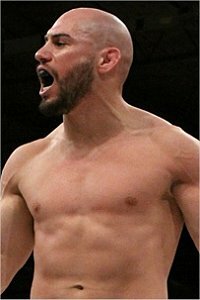 Vanier was a semifinalist in last year’s tournament, beating ‘Ultimate Fighter’ alum Joe Duarte with a third round TKO stoppage. He came up short against Toby Imada in the next round, getting caught in an armbar in the second round. Vanier came back later that season to face Rich Clementi in a non-tournament bout, earning a split decision victory. 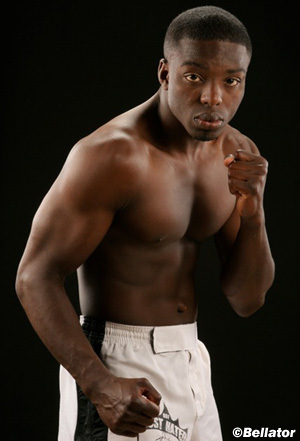 Lloyd Woodard has stayed busy since making his MMA debut in October of 2008. He has fought ten times, winning all ten fights in just a little over two years as a professional. Most recently Woodard beat 40-fight veteran, Alonzo Martinez by first round submission at an Extreme Challenge event in Council Bluffs, Iowa. Mike Chandler is a former NCAA Division I All-American wrestler from the University of Missouri. 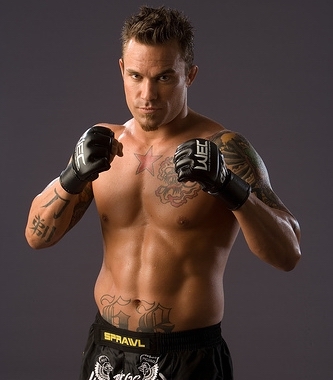 He went pro in mixed martial arts in 2009 and has since amassed a 5-0 record. Chandler was signed by Bellator in September of last year and has stopped both Scott Stapp and Chris Page within two minutes of the opening round. Nineteen-year-old Polish prospect, Marcin Held makes his first appearance in the United States as the final entrant in Bellator’s tournament. 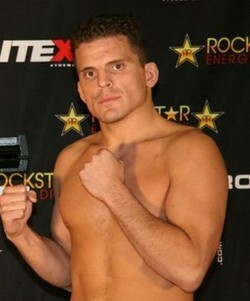 He made his MMA debut in September of 2008 and has since gone 10-1 as a professional. Held’s only defeat was a unanimous decision loss to fellow 155- pound prospect, Lukasz Sajewski at AOF 7 in May of last year. 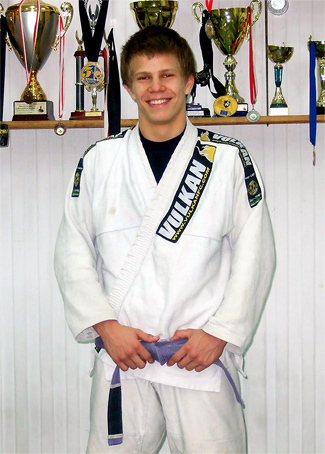 Most recently, Held submitted Bojan Kosednar in the second round with kneebar. The semi-final match-ups in Bellator’s season four welterweight tournament have already been announced. Former champion, Lyman Good meets Olympic judoka Rick Hawn at Bellator 39. The event takes place on April 2nd at the Mohegan Sun in Uncasville, Connecticut. A lightweight title fight between Eddie Alvarez and Pat Curran serves as the main event of the evening. Lyman Good was impressive in his return to the cage, since losing his title to Ben Askren in October of last year. He easily out-struck Chris Lozano for three rounds earning the one-sided unanimous decision victory. 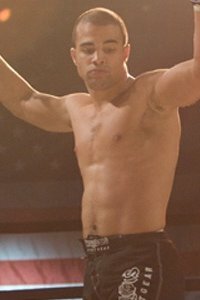 Good became Bellator’s first 170-pound champion after winning season one’s tournament, defeating Hector Urbina, Jorge Ortiz, and Omar de la Cruz. Rick Hawn was able to keep his undefeated record intact and more importantly advance in the tournament following his victory over Jim Wallhead on Saturday. The fight mainly took place on the feet even though both fighters have judo backgrounds. Hawn showed much improved boxing skills, which earned him the unanimous decision from the judges. The win was Hawn’s tenth victory in a row and his second under the Bellator banner. The other semifinal match-up pairs Jay Hieron against Brett Weedman, but will likely take place at a later date due to the facial laceration Weedman suffered in his quarterfinal bout with Dan Hornbuckle.